28 Getting To Know You Questions for the Early Years. Best to work in pairs or with a friend. Children read the questions and pop the card on the Yes or No pile. A great back to school – getting to know each other activity. 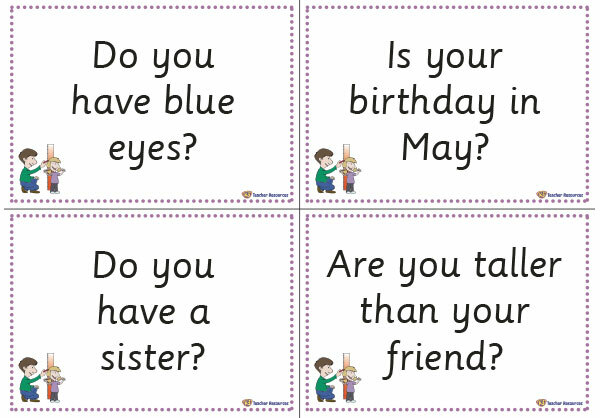 Is best to do this activity in pairs as the children can help each other read the questions. Each child takes turns to answer the questions.